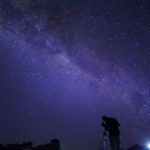 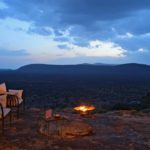 A 9 nights / 10 days safari that takes you to three pristine and unique wildernesses so remote and vast that you feel like you have reached the edge of the world. 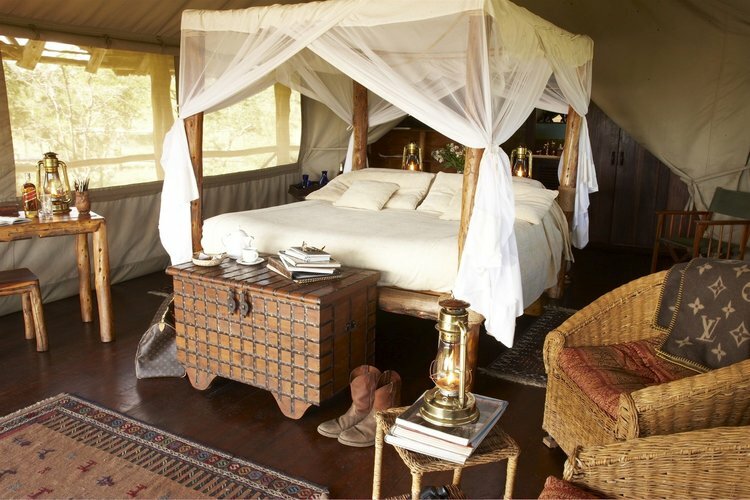 All inclusive from US$9,865 per person sharing (low season rate). 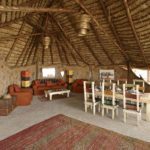 Including: Accommodation, three meals daily, soft drinks, house wines, local brand spirits and beers, teas and coffees, refreshments on lodge activities, laundry, private game drives, one crater tour per day, escorted walks, sundowners, airstrip transfers to Ngorongoro Crater Lodge. 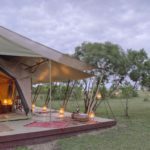 This is a life-enriching journey of wide open wilderness, of spectacular views, of authentic African experiences and of secluded luxury. 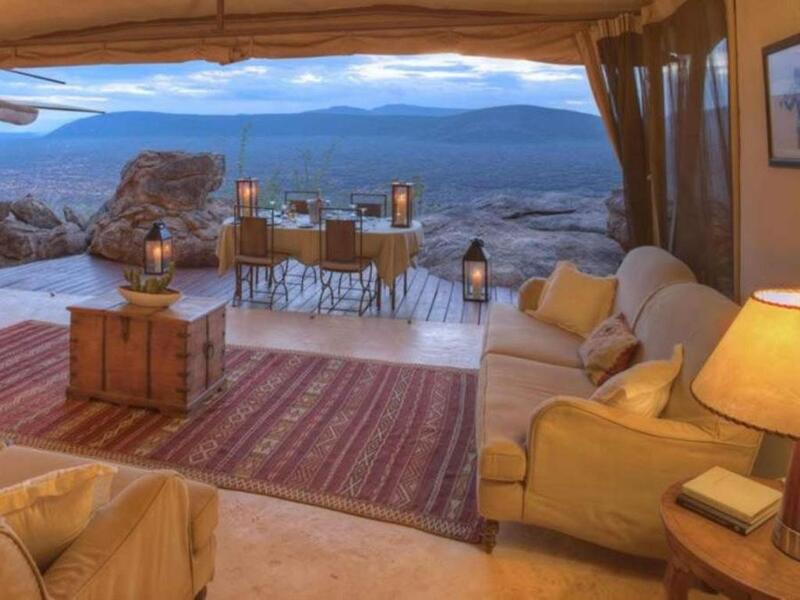 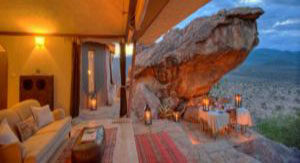 Discover the rugged, unending scenes of Samburu, the raw beauty and diverse ecosystem, where enormous herds of elephant traverse the vast landscape and leopard den in the rocky outcrops. 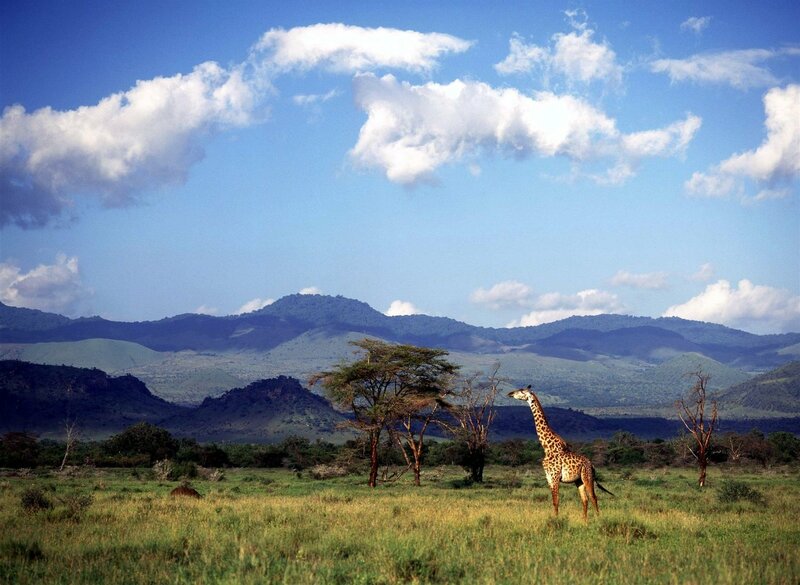 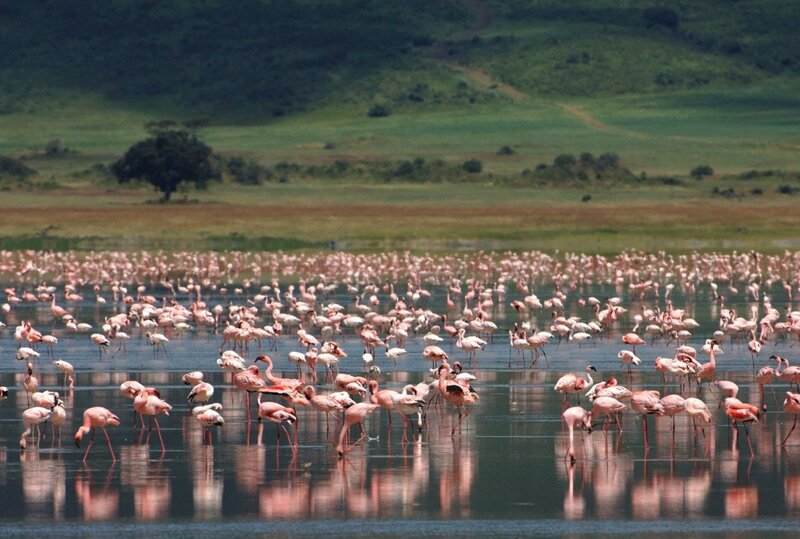 Encounter the truly unique, ancient and breath-taking Ngorongoro Crater, with World Heritage status and one of the natural wonders of Africa and most important human evolutionary sites in the world. 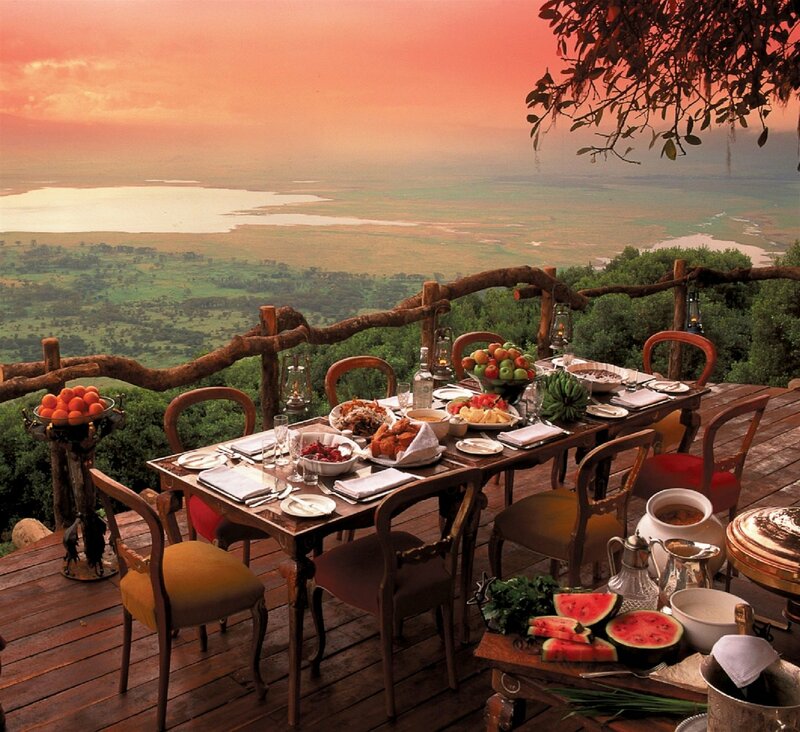 Renowned as the lodge at the top of the world, with unbelievable views over one of the most famous landscapes in Africa, Ngorongoro Crater Lodge is the epitome of elegance. 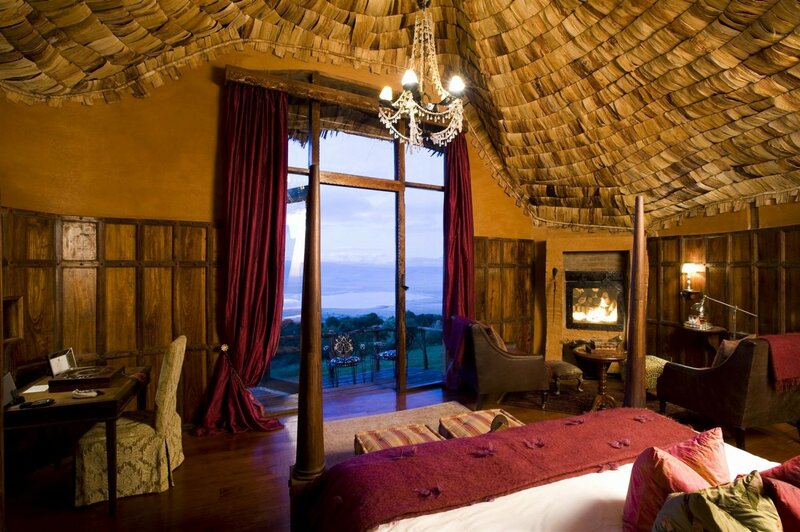 Seated on the rim of the crater and adorned with magnificent, ornate furnishings and finishings, the lodge’s incredible architecture is inspired by the traditional Maasai manyatta and is full of dramatic contrasts of high luxury and authenticity. 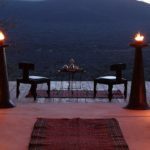 Revel in the aura of romance and luxury in this breathtaking setting, and enjoy the abundant natural riches and wildlife of the crater – once a large volcano that later collapsed, it is now the largest intact caldera in the world. 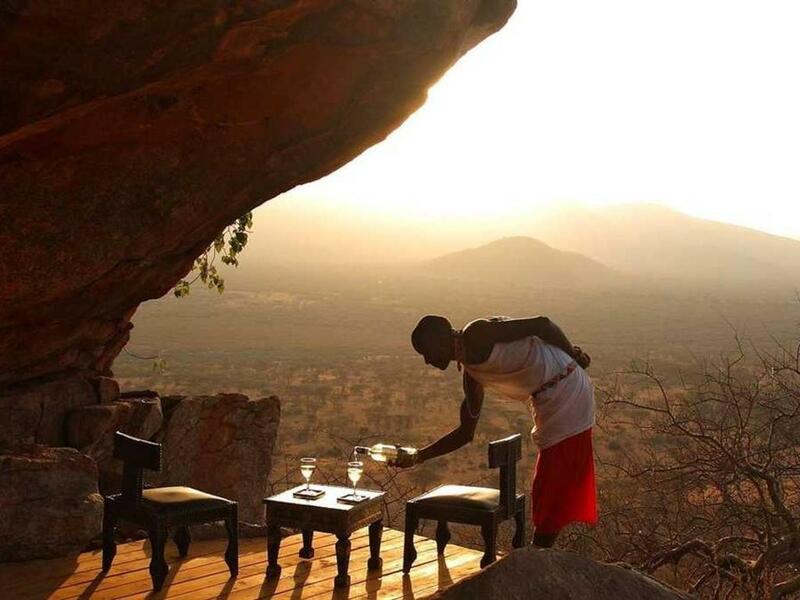 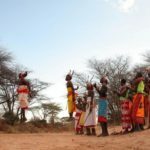 Activities and amenities: game drives, escorted walks, photography excursions, picnics in beautiful areas, payable extra activities: crater tours, excursions to Olduvai Gorge, crater floor banquet, honeymoon rose petal dinner, African drummers, Hadzabe bushmen experience. 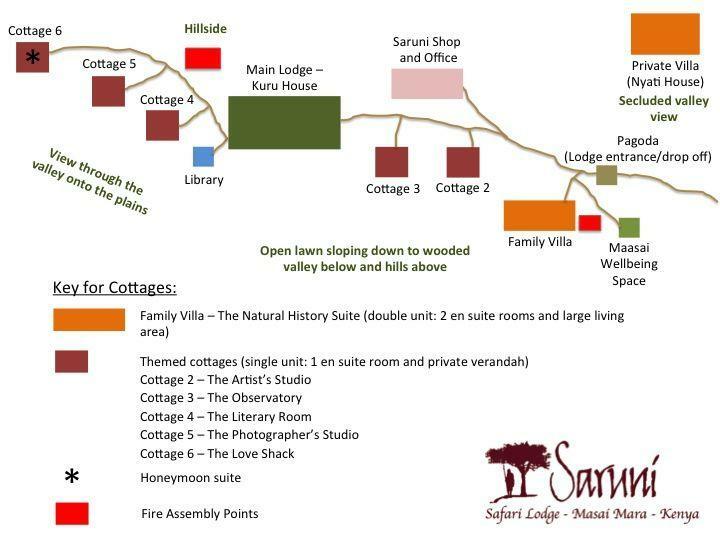 Continue to explore the wonders of Samburu with a morning game drive and after lunch head out on a nature walk discovering animals, plants and the caves in the local area with rock paintings, led by your skillful and knowledgeable Samburu guides. 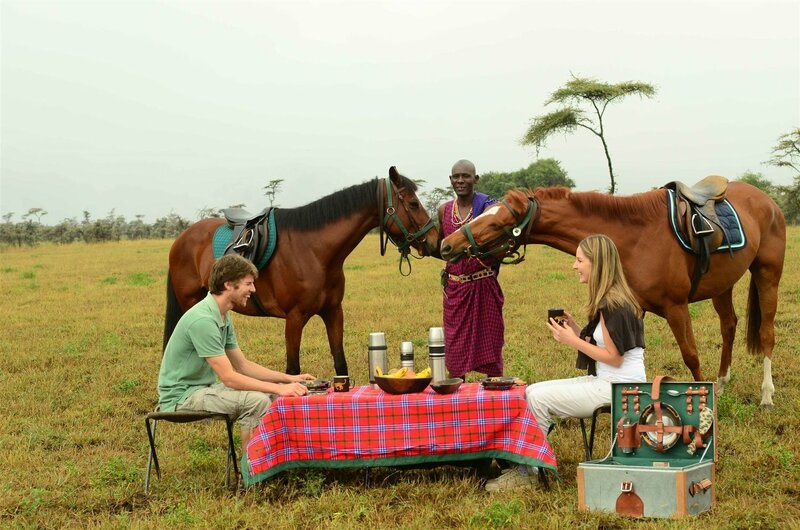 After breakfast catch your charter flight to Wilson, where you will take a connecting Air Kenya flight to Kilimanjaro International Airport and on to Manyara Airstrip, where a Ngorongoro Crater Lodge vehicle will meet you and transfer you to the lodge. 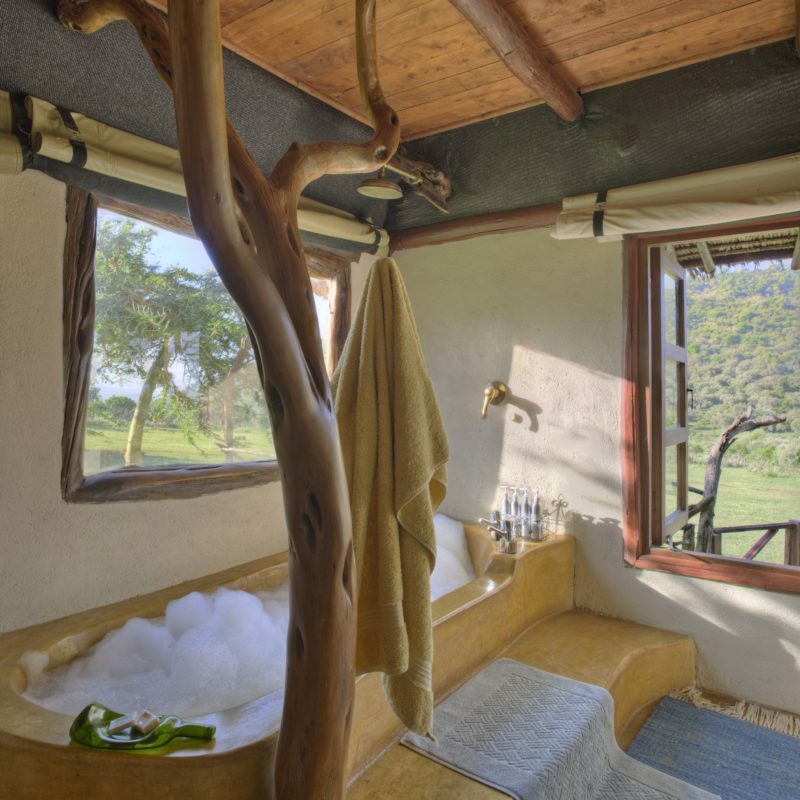 Relax in the lavish and ornate rooms of the lodge after a long day of travelling, and maybe take a long bath with some champagne. 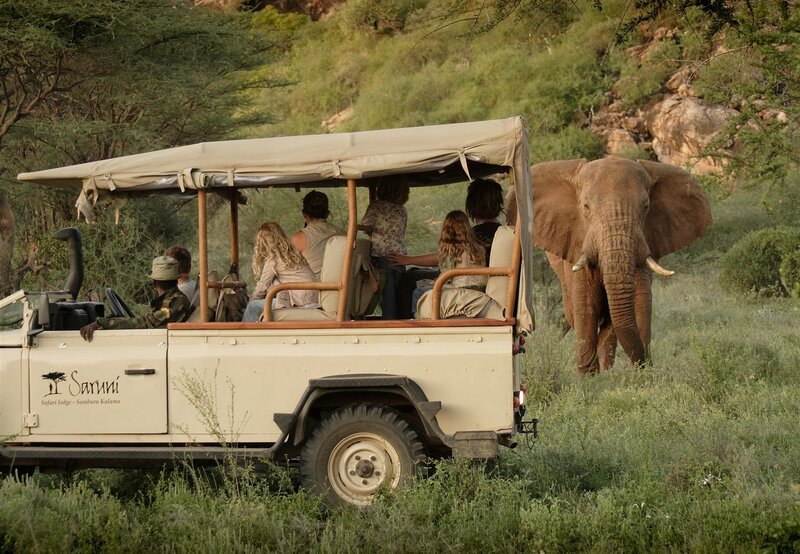 Wake up early and head down into the crater for a full morning game driving and exploring the unique landscape and wildlife. 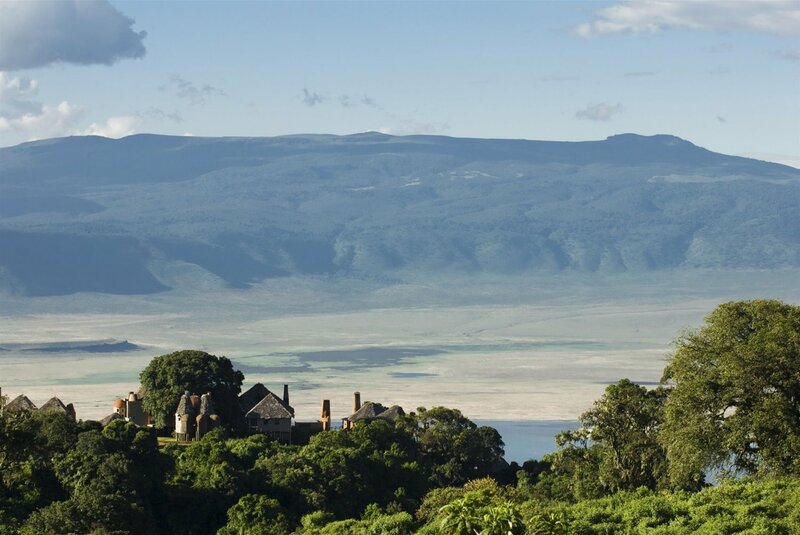 After lunch, set off on a walk through the forest which heralds spectacular views before returning back to the lodge for a scrumptious dinner. 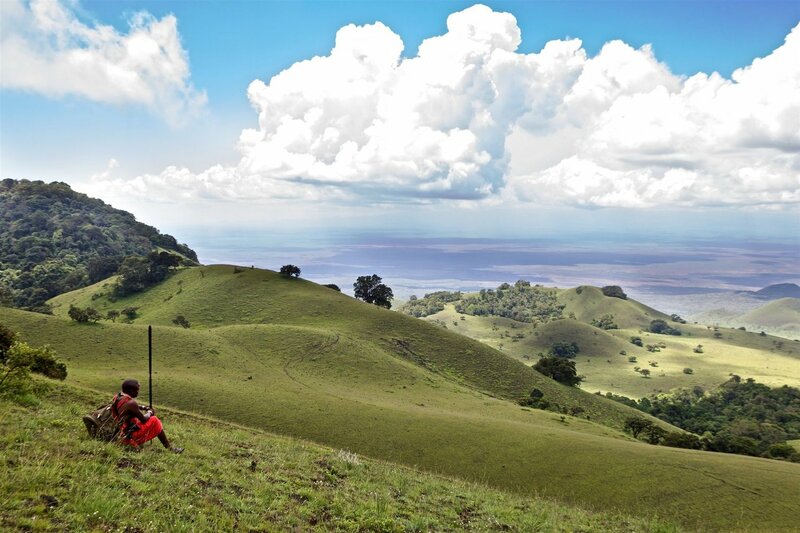 Discover Olduvai Gorge on an excursion through one of the most important archeological sites in the world. 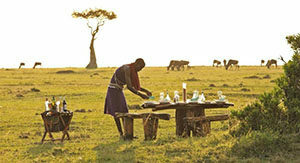 Stop for a picnic lunch on your way home in a beautiful area. 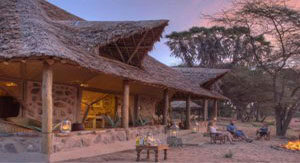 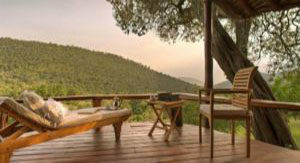 Enjoy the afternoon at the lodge, and a sundowner on the edge of the crater enjoying the most spectacular view. 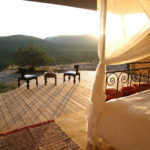 Enjoy your final morning waking up in paradise to a beautiful sunrise, before you depart to catch your flight from Manyara to Kilimanjaro International Airport, connecting on to Wilson Airport.